In its statement, the Federal Open Market Committee repeated January language that it will be "patient" amid "global economic and financial developments and muted inflation pressures"
The Fed's signal that it will keep interest rates on hold for the full year reflects concerns that economic growth is slowing, lower energy prices are weighing on inflation and risks from abroad are dimming the outlook. The projections go further than the one-hike forecast analysts had expected in a Bloomberg survey. In a separate statement Wednesday, the Fed said it would start slowing the shrinking of its balance sheet in May and halt the drawdown altogether at the end of September. After that, the Fed will likely hold the size of the portfolio “roughly constant for a time,” which will allow reserve balances to gradually decline. 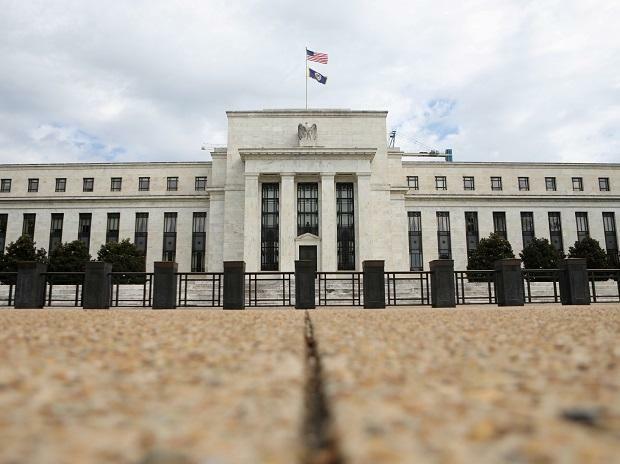 The 10-0 decision held the target range of the federal funds rate steady at 2.25 per cent to 2.5 percent. While the central bank is very close to its twin goals of low and stable inflation and full employment, Chairman Jerome Powell and his colleagues must contend with risks from abroad, including slowing growth in Europe and China and possible spillovers from Britain's exit from the European Union. Those headwinds contributed to sharp financial-market volatility late last year. US stocks recorded their steepest December losses since the Great Depression as President Donald Trump publicly hammered Powell to stop raising rates and investors saw the Fed's projected hikes as a policy mistake. Stocks have rebounded since the Fed made a dovish pivot in January, replacing a reference to further gradual rate increases with a pledge for patience. Wednesday marked policy makers' first opportunity since December to lay out in quarterly forecasts the extent to which their projections for hikes have changed. Economic growth “has slowed from its solid rate in the fourth quarter,” the FOMC said in its statement. “Job gains have been solid, on average, in recent months” despite “little changed” payrolls in February. “Overall inflation has declined,” though excluding food and energy it “remains near 2 percent,” the central bank said. Policy makers also lowered economic-growth projections for this year and next, giving a 2.1 per cent median estimate for 2019, a full percentage point below last year's pace. The projections showed 11 of 17 officials saw no hikes this year, while four expected one rate increase and two people projected two hikes. Policy makers expect to lift rates once in 2020, to 2.6 percent by the end of that year, and hold them steady in 2021. That compares with a December projection for a 3.1 per cent rate in 2020 and 2021, with borrowing costs converging to 2.75 per cent in the longer run, according to the median path. That long-run estimate was unchanged in Wednesday's forecasts. The Fed formally adopted its 2 per cent inflation goal in 2012, and price gains have mostly come in on the low side since then. Policy makers slightly lowered their expectations for inflation relative to their last set of economic projections. After 1.8 per cent headline inflation in 2019, they see price gains of 2 per cent on both the main and core indexes for the next two years, eliminating the overshoot they had previously projected. Officials see unemployment at 3.7 per cent by year-end, higher than their previous estimate of 3.5 per cent. At the same time, they lowered their long-run jobless rate projection to 4.3 per cent, suggesting the labor market is running less hot than they previously thought.